The YKiosk is perfect for all points of public access to Internet, as kiosks, cyber cafes, PC's in schools, among others. But YKIOSK applications go far beyond to those of a multimedia kiosk. This software is perfect for internet cafes, schools and all public payed internet access or even in personal computers in every home. 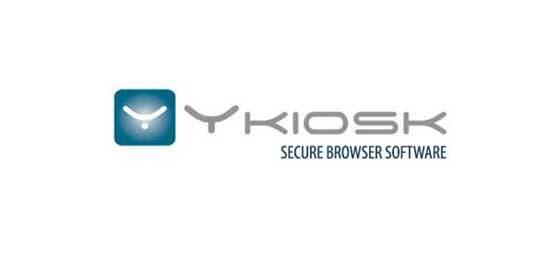 In addition to extremely high safety specifications, both in terms of navigation, both in terms of unwanted access to your computer, the YKIOSK software has high additional settings that make it the right partner for multimedia kiosks or to any computer for personal or professional use. The Internet browser, widely used in multimedia kiosks, is protected so that users can only browse on web sites that were previously determined. Another main feature of this software is the control of other components of the kiosk, in cyber cafe or public internet acess points, such as Coin validators. The Newer versions of Ykiosk have remote access possibility. This feature allows access and control of the Kiosk or PC where the software is installed, via the Internet anywhere in the world. Professional solution to convert any computer into a multimedia kiosk concept. Protects the operating system, keyboard locks or key combinations (eg Ctrl-Alt-Del), restrict access to folders and system restricts access to the desktop, blocks access to physical drives (hard drive, pen drive), controls printing processes, etc.